I see many food trips with these two, coming very soon..
One of the greatest inventions of man, The Cheeseburger has got to be up there with the automobile and the telephone. I stress that it's the cheeseburger,and not just a burger, because I don't believe that the burger Cheese should be separated from the burger. EVER. Some things just truly belong together. Can you imagine Peanut Butter without Jelly? Or Mulder without Scully? Or me without Bacon-.. I mean, Rina? I don't think it was until the turn of the new millenium that gourmet burger joints began popping up left and right, that offered a different burger experience that the usual fast food chains did not. It's one thing for a restaurant to give you extra packets of ketchup to load your burger up with, but to offer other add ons was a whole new ball game. I begin my quest to find the best burger in the metro, by starting off with the place that is generally seen as the restaurant that has been in the forefront of gourmet burgers - Brother's Burger. 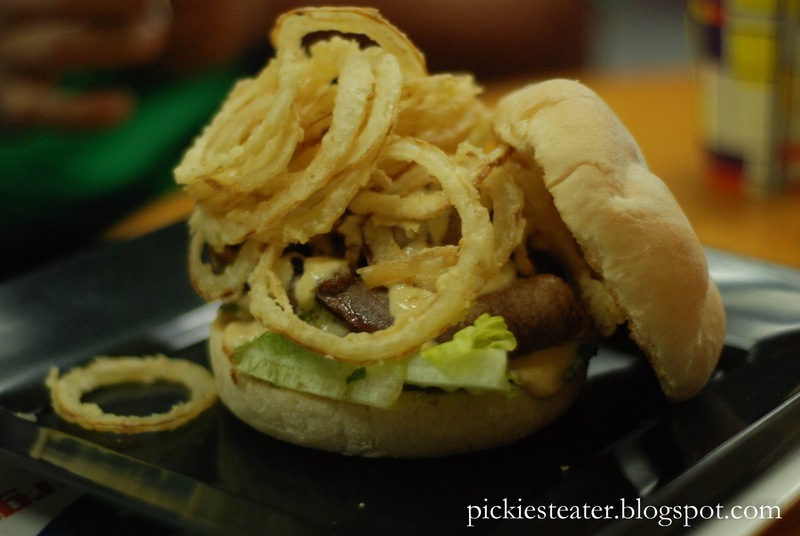 Brother's Burger is perhaps one of the best food success stories we have in the Philippines. 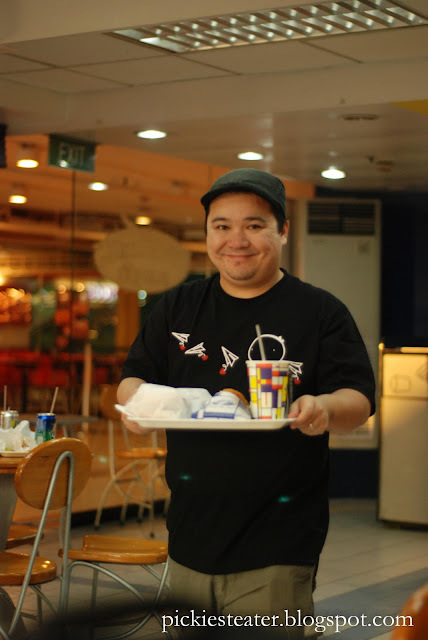 From a single burger outlet, they grown into a a nationwide franchise that has gotten the other fast food giants to stand up and take notice. 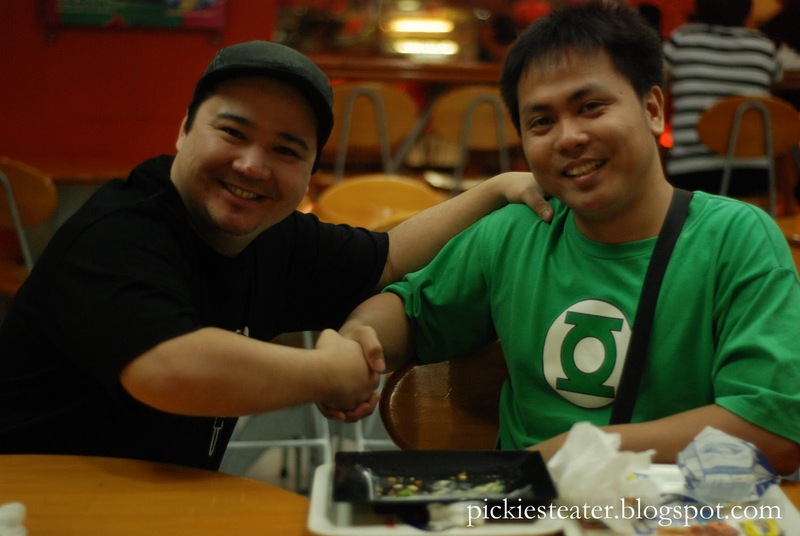 Brothers Burger will probably never be a true threat to McDonald's or Jollibee's stranglehold in Philippine burger supremacy, but they have found their niche, and their market. The concept of Brothers Burgers is simple enough - "Burgers by design". You are given the power to choose what else you want on your burger, apart from the meat and the bun. Your choices range from Bacon, Cilantro Cream, Cream Cheese with Garlic, Bacon, Sauteed Onions, Sauteed Mushrooms, and Bacon (Im fully aware I mentioned Bacon three times. You're lucky it wasn't four). 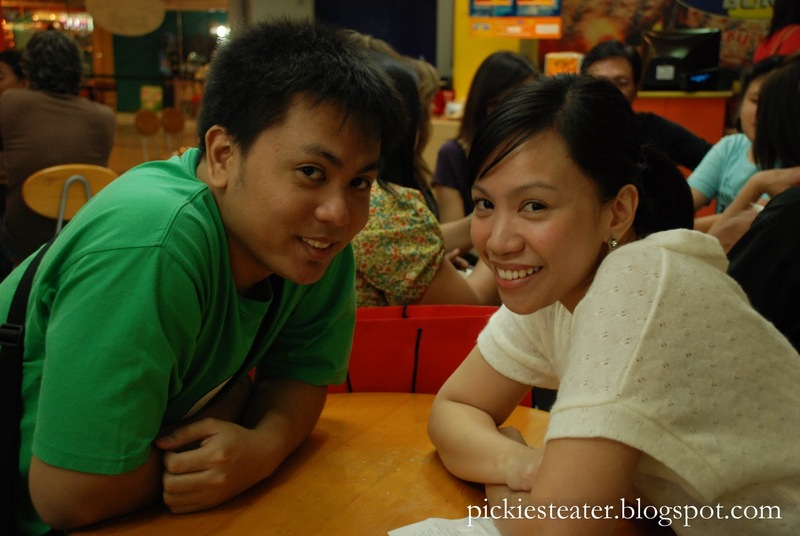 One Saturday afternoon, Rina and I stopped by Brother's Burger Greenhills Branch to meet up with our fellow food-trip loving friends, Karla and Owen. 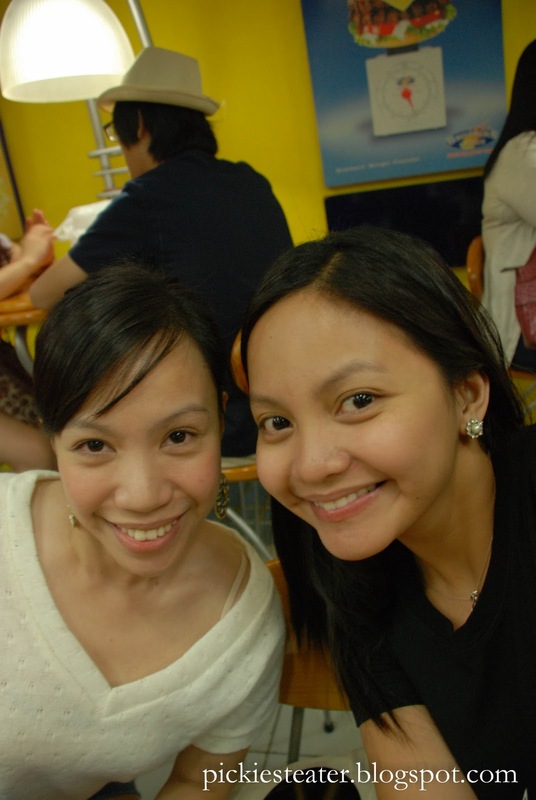 Actually we had just come from a trip to Mega Mall, where I had to appease Rina's craving for Goldilock's Dinuguan, Bistek and Sago't Gulaman. (If this is going to be 7 1/2 months of my baby craving for native Filipino delicacies, I think I might have a problem). The Brother's Burger branch that I frequent most would have to be the one in Bonifacio High Street, mainly because we go there often when we bring our dog Schatzi out. The last time I went there, the place was still rather well kept and practically looked sparkling new. The Greenhills Branch did not. Maybe it's a bit older than the High Street Branch, but it looked like the Brothers Burger Branch that time forgot. It's not all raggedy and filthy, but just not up to the standards of, forgive the pun, it's "brothers". From the ceiling to the tiles, the place could sure use a light re-touching of. But I do have to give credit where credit is due. The Brothers Burger bus boy was very attentive. As soon as a customer left their table, he was quick to wipe up after them. In less than two minutes, the table was ready for a new set of customers. I deliberately stayed away from the French Fries, because Brothers uses the thick cut fries that I'm not too fond of. Instead, I ordered their Onion Rings. Though this isn't the best onion rings I've had from a burger joint flavor-wise (I'll reveal what is soon, or ask me if you can't wait), but what I liked about it, is that it was the least greasy. It was delicious all the same, with the rings itself being really big and fat, and coated just enough to give it a delicious crunch without losing the taste of the onion. 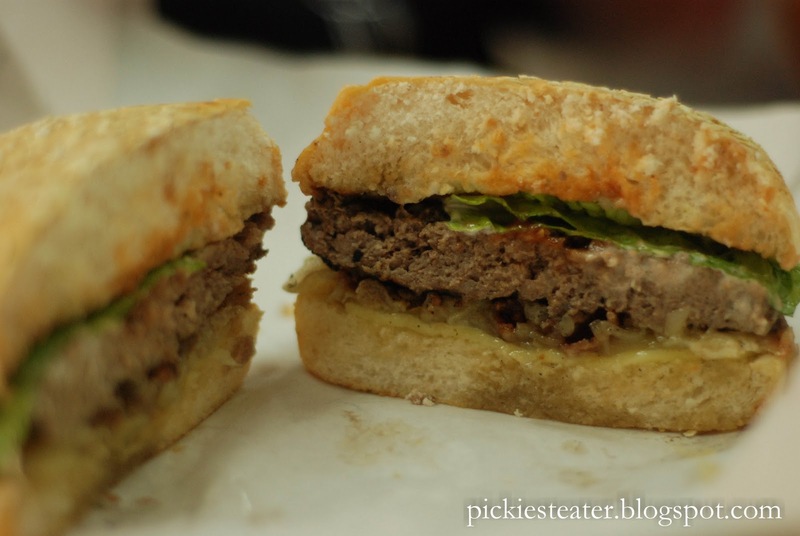 I ordered Brother's Burger's famous Lamb Burger (P270), but of course I had them add Bacon and remove the tomato. 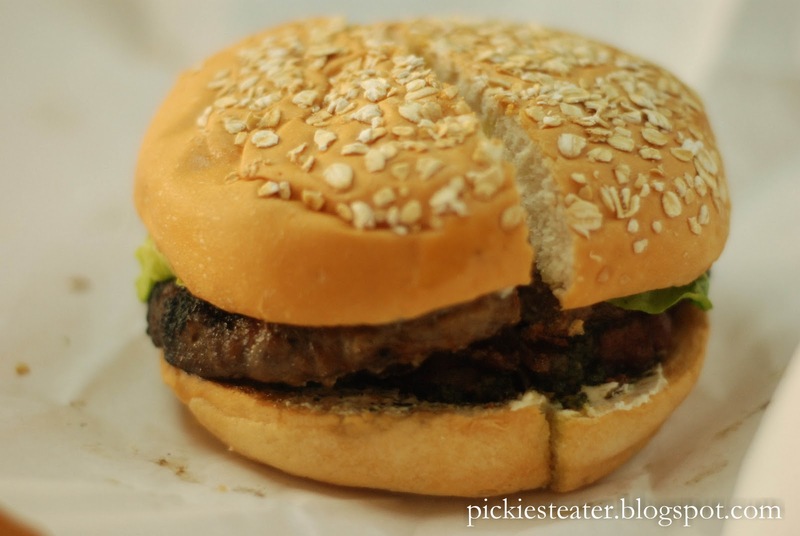 Brothers Serves their burgers in their buns which they boasts, contains oatmeal instead of the traditional sesame seeds. To be honest, I don't get the difference, but oh well. I would put this burger among the best I've ever tried. I was worried that the somewhere in the grinding of the meat, the flavor of the lamb would be lost, but nothing could be further from the truth. The gaminess of the lamb meat was still evident. Even just by the smell, you could tell that this wasn't beef. 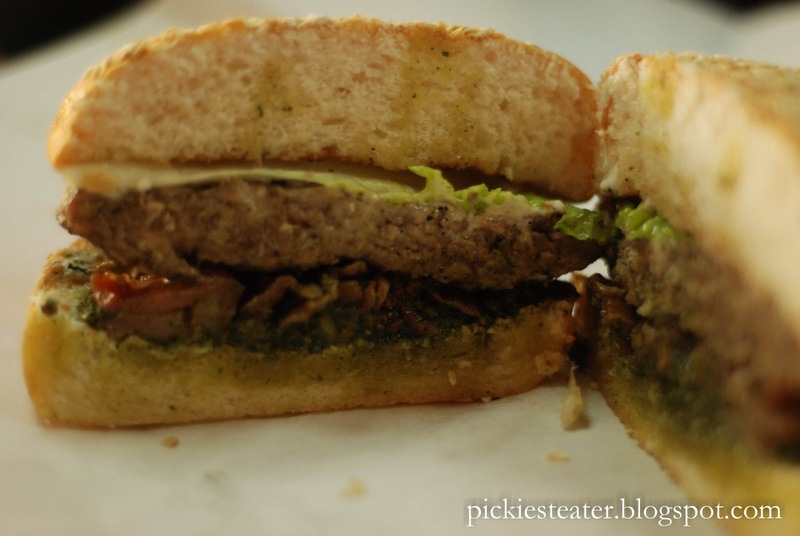 And i'm a big fan of pesto sauce, so i was pleasantly surprised to find that that's what they used for this burger (There are no descriptions in the menu), not to mention feta cheese. My only bone to pick with them, was with my bacon add on. They chopped it up into little bitty pieces. You DON'T do that to bacon. You treat it with the respect and dignity it deserves. It's served in strips for a reason. This easily vaulted its way unto the upper tier of my favorite burgers, although I must admit, the price tag is a little bit stiff for a burger. The other burger I got to try was the Black Angus Burger (P270), which I added Bacon (naturally) and sauteed onions. You won't find the softness of a piece of Black Angus steak in this, but what you will find is the powerful taste of beef. If I were to describe this burger, it would be "Macho". It's the meatiest tasting burger I've ever had, even to the point when I ripped a piece of the but and tried it, it STILL tasted like meat. Again, it was a pretty awesome burger, but it was hard to appreciate with it's steep price range for a burger. The more appropriate name would have been "Onion Rings sandwich with Roast Beef"
My buddy Owen ordered the Roast Beef Sandwich, and it did look rather impressive. 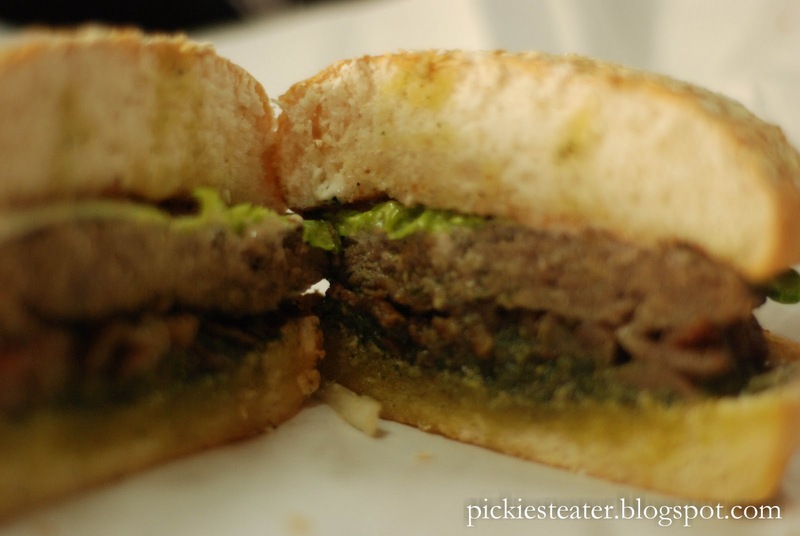 The sandwich was stacked high with onion rings, and thin strips of beef on the bottom. I appreciated that they took time to use different type of onion rings, instead of going for convenience and using the same type as they do for the side orders, which proved to me that they take this whole "Burger By Design" theme seriously. The sandwich used a Kaiser Bun (instead of the Oatmeal bun), which made the bread look much softer. 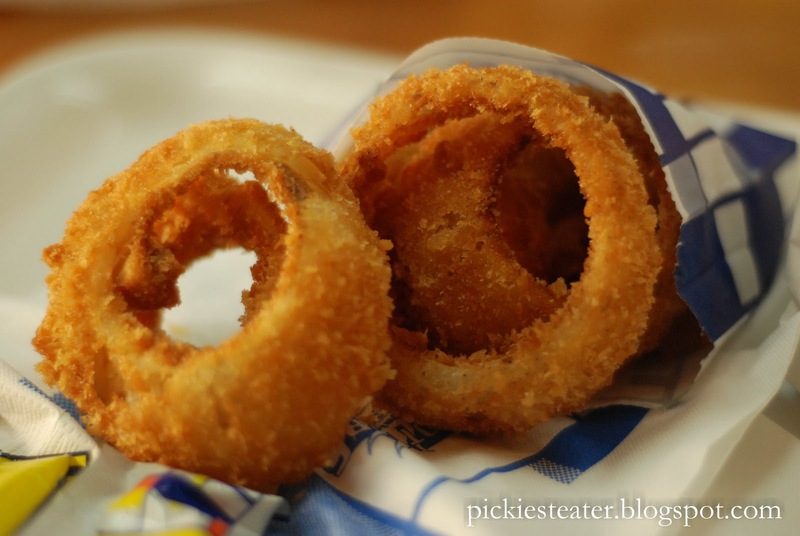 Under the pile of onion rings, however, were thin strips of what looked to be perfectly cooked beef. I didn't get to try it, but at the speed in which Owen went through his Roast Beef sandwich, either it was pretty awesome, or he had just finished a week long fast. After I had eaten, I strolled over to the Manager who was behind the counter for a short chit chat. I asked if I could order their new criss cut fries, and he said it's only available with their new "Wagyu Burger". I then asked if I could order a burger with a Kaiser Bun instead of an Oatmeal Bun, and he said "No Sir, i'm sorry, that's for sandwiches only.". So i said, "But I thought it was "Burger by design?"". He gave out a nervous laugh, apologized and said "Don't worry sir, i'll make sure the head office hears about your suggestions". I honestly wasn't going to eat again, but If you're going to urge your customers to build their own burger, they shouldn't be limited to rules that don't make sense. So what if I wanted a kaiser bun instead of an oatmeal one? Why wouldn't it be allowed? What if that's the "design" I wanted? And I'm seriously curious why Criss Cut fries are only served with the Wagyu burger! (sorry, i'm very passionate about criss cut fries). As much as I enjoyed the food, I do feel that it's a tad bit pricey. I shelled out P800 bucks for two (although rather excellent) burgers with a few add-ons, two drinks, and an order of onion rings. Looking around me, it was obvious that the ambiance wasn't included in the price tag, because as i mentioned, the place could use a touching up or two. You know what Brothers Burger lacks? A more concise menu. Yes they have the menu posted up on the sign, but there's no description in it for the burgers. Not to mention, there are pictures of different burgers all over the walls, that aren't in the main menu. Since it's "Burger By Design", shouldn't you be made aware of what's on your burger so you know what else you'd want to put on it? That's something they should definitely look in to. When I was ordering add on's, the cashier had to stop me for a sec to say, "Sir that has cheese already".. or, "Sir, no need for cilantro because it has pesto" or "Sir, are you sure you want three orders of bacon?". So in my quest for the best burger in the Metro, Brothers Burger has made its case. Rina and Karla.. Too bad Melay and Lia weren't there! Me congratulating Owen for polishing off that sandwich is record time. Tropical Hut = Rancho Ranchero. I've never tried it myself but (1) most people who actually eat at Tropical Hut swear by their burgers and (2) they almost always mention Rancho Ranchero. Can't wait for CHARLIE's, HOT SHOTS, LUSSO, 2nds, FRIDAY's, BRGR PROJECT, Chillis', National Sport's Grill and and and.....BURGER KING's Quad Stack MVP!! !- all boasting about their signature burgers. You might be biting off more than you can chew my friend. Let the meat war begin! Ah.. ok Rainy.. Gotcha.. 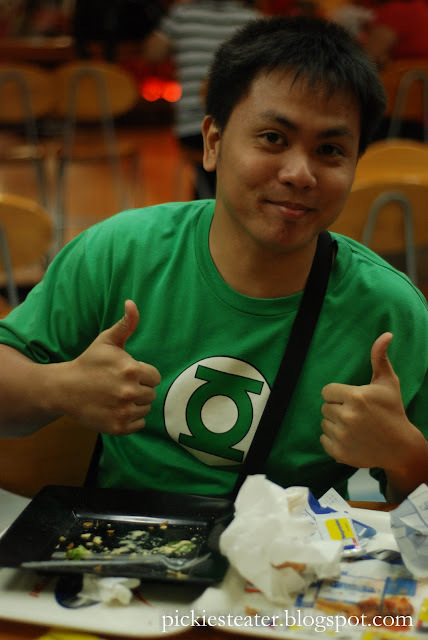 If it's from Sir A, it must be good hehe..
every time we talk about burgers, you ALWAYS bring up Good Burger! haha!